With a view to cross promotion of each other's products, Public sector bank, Canara Bank and state-owned general insurer, United India Insurance (UII) on Monday signed a Memorandum of Understanding (MoU). Now, the insurer will leverage Canara Bank's huge network of over 3,800 branches to sell micro insurance products to rural population. The MoU was signed by Canara Bank CMD Sri R K Dubey and United India Insurance CMD Sri Milind Karat CMD, at a function in Bangalore. Under the MoU, Canara Bank has announced a retail loan package created exclusively for the employees of UII. In return, UII also launched specific personal insurance products designed for the bank's customers to cover their financed and non-financed assets. Sri R K Dubey said that the bank aims to earn Rs 50 crore as fee from selling non-life policies in the current fiscal, up from Rs 15 crore in the previous fiscal. 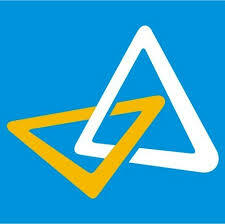 He also said that the bank is looking to increase its branches from the current 3,800 to 5,000 by FY’ 2015. The bank is also on the threshold of tieing-up with another state-owned general insurer for health insurance.